As a father of two daughters, I look forward to the day when they’ll play Pathfinder, Starfinder, and other TTRPGs with me… But, unfortunately, the vast majority of female miniatures are ones that I’d be ashamed to offer to my daughters. 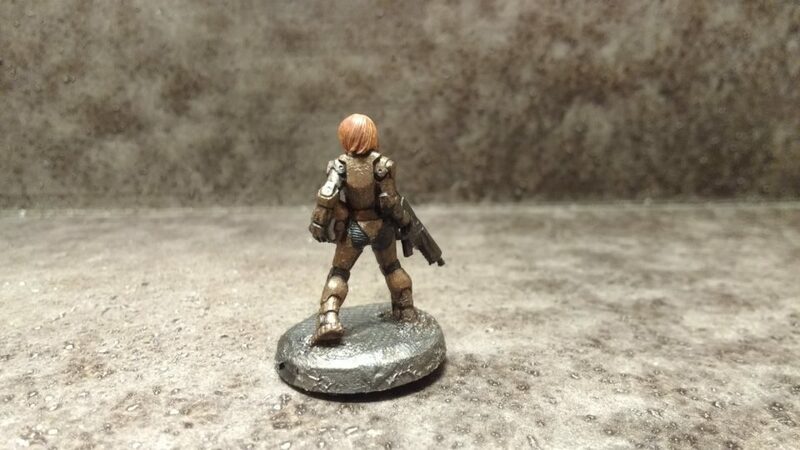 This is why I love Hasslefree Miniatures. 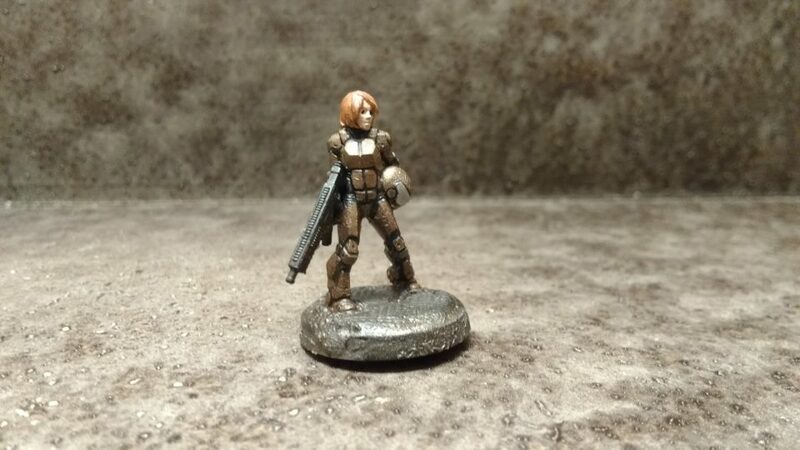 They have their titillating miniatures like most other manufacturers but they also have some of the most reasonable and diverse female miniatures on the market. I liked how my recent Nova Corp soldier paintjob turned out so I decided to try something similar with Lt Thoran. For the body I went with a black primer, followed by a black undercoat with copper armor. This is the first time that I primed different parts of a miniature in different colors, here I primed the head in white and I think it makes for a nice contrast. For the hair I did an undercoat of metallic gold followed by several coats of brown. I was disappointed that there was some frosting with the matte spray on varnish this time around. I haven’t discovered why – most of the time – it doesn’t frost but occasionally it doesn’t. Notably, I sprayed it on the Garn Warrior at the same time and no frosting there.